Boston is by far one of my favorite cities. I don’t know what it is about it, but as much time as I spend here, I am constantly discovering something new! 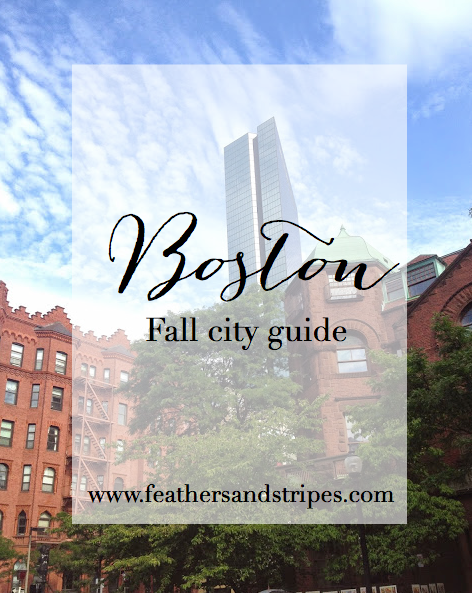 Here are some of my favorite things to do in the Boston area (and some outside the city, too). Hyatt Regency Boston Harbor (for incredible views of the city skyline – this is where we had our wedding reception!) – sit on the outdoor patio if the weather is nice! I remember the fall I was touring colleges, we did a road trip through New England and holy changing leaves, is it a pretty one! I would like to be transported there asap! Thanks for the recommendations! It's been a while since I've been to Boston, and all I remember seeing was the science center. I should definitely check out the city as an adult.